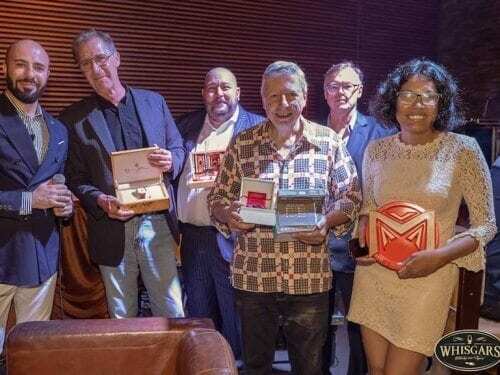 The 5th cigar festival Fine Spirits & Cigar Weekend (FSCW) carried out by Tallinn Cigar Club and its president Tullio Liblik, came to an end in Tallinn on Sunday, June 11. 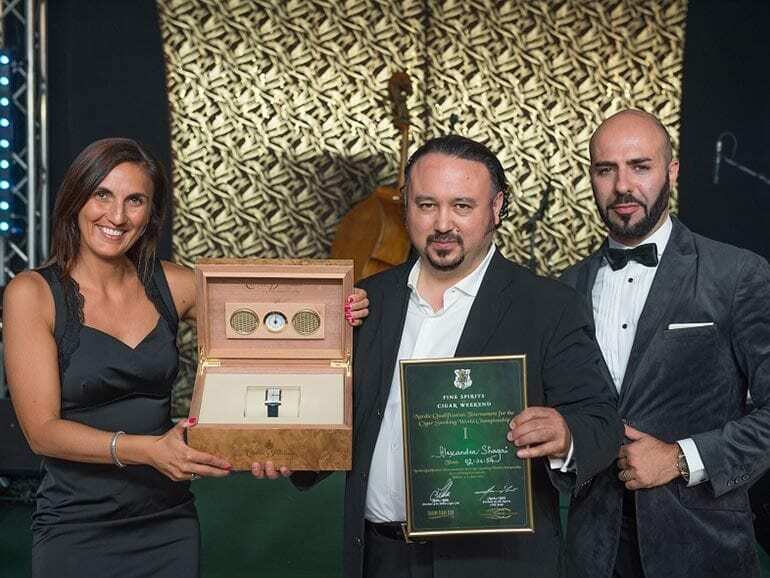 During the FSCW event, the Northern European Qualifying Tournament for the Cigar Smoking World Championships took place on Saturday, June 10, 2017. It was held alongside Tallinn Old Town in a glass pavilion set up on Towers’ Square. Alexander Shagai from Saint Petersburg earned a ticket to the finals held in Split, Croatia from September 1st to 3rd. 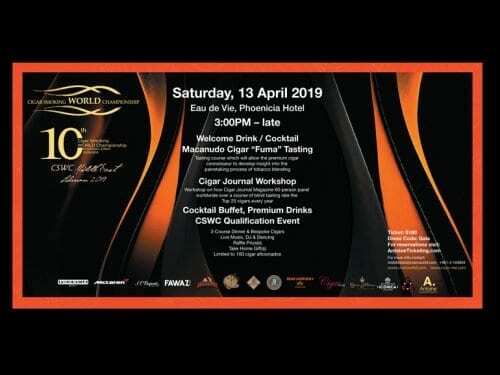 The Russian succeeded to keep the official competition cigar, a Macanudo Inspirado Mareva, alight for 2 hours, 31 minutes and 54 seconds. 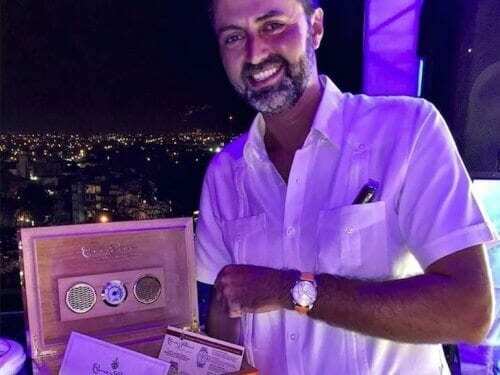 “When preparing for the tournament I was able to keep the cigar alight for more than three hours,” admitted Shagai who was able to exchange his last year’s second place to first this year. He was also the world champion in 2013. Second place finisher was Tambet Liblik (Estonia) with the result 1:18.09 and third place was earned by Jeremy Casdagli (United Kingdom) with the result 1:16.52. Among the ladies, Olesya Nokhrina from Russia triumphed with a result of 57.08. The runner-up with 59.22 was Finnish Hanna Makinen who received a 10-minute penalty for dropping her cigar ash within the first 25 minutes. Shagai and Nokhrina were both gifted a Cuervo y Sobrinos watch. 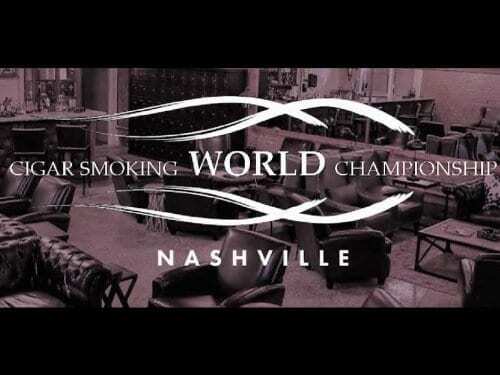 Altogether 23 cigar smokers attended the qualifying tournament, 5 of which were women. 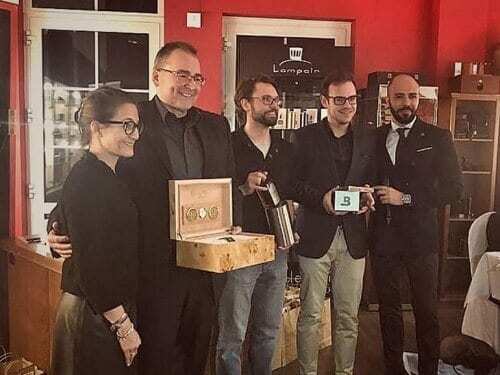 “In the finals 150 contestants from 27 countries qualified in 24 tournaments will compete,” explained the championships’ founder Marko Bilić from Croatia. “The Estonian Tournament is well-organized and I’m very happy to be here,” he added. “The feeling is good,” rejoiced the champion Shagai who admitted wishing for an even better result. During a two-week period before the tournament he practiced with exactly one cigar a day – mostly thanks to a smoking method he had already previously evolved. 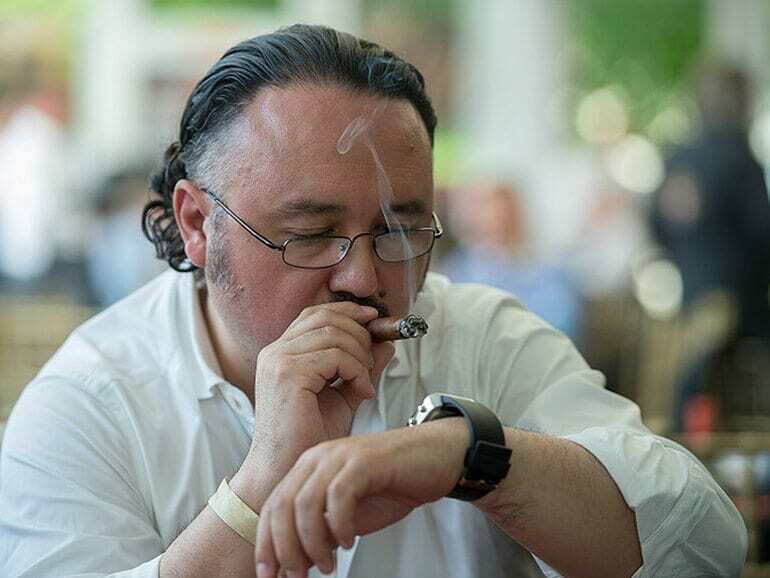 The banker from Saint Petersburg tasted his first cigar 12 years ago and usually prefers to smoke it a bit faster than in the contest. Shagai doesn’t visit Estonia often but he adores it: “It’s not far away and it’s nice here.” That was also why he was extra happy hearing that Tullio Liblik would organize the tournaments in Estonia as well. 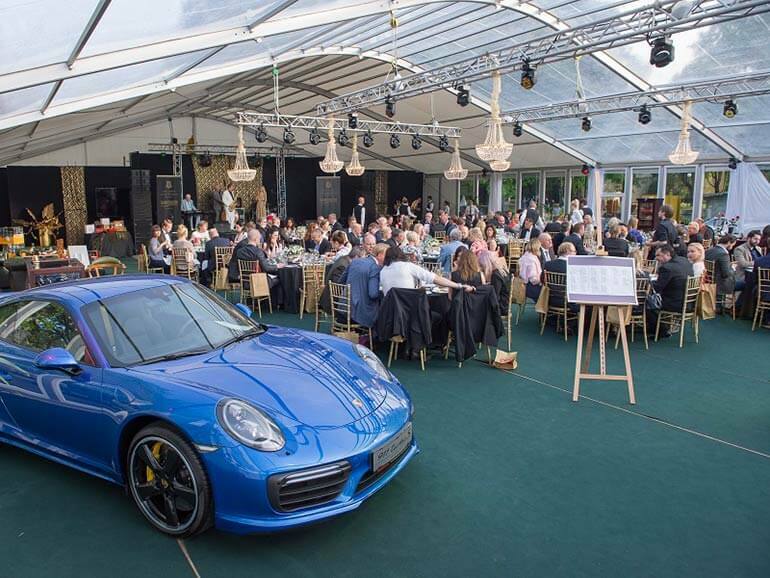 The Estonian competition was followed by a gala dinner with 150 guests, including model Karmen Pedaru and Estonian public figures auch as Erika Salumae, Tallinn’s deputy mayor Kalle Klandorf, and sculptor Tauno Kangro. Dinner was entertained by Olav Ehala’s jazz orchestra, singers Nele-Liis Vaiksoo, Kalle Sepp and others. The evening was hosted by actors Raivo E. Tamm and Merle Palmiste. “The event was a success! We’re expecting all cigar friends back to Tallinn in 2018, from June 8th to 10th for the next, already 6th Fine Spirits & Cigar Weekend,” summarized Tullio Liblik.